The sash window or vertical sliding window was the most ingenious product of the seventeenth-century and has found acceptance by over half the western world. 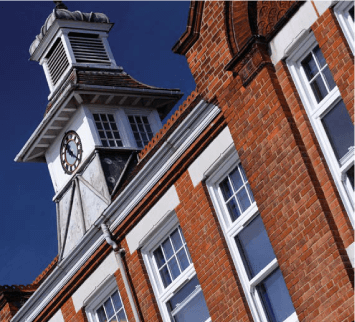 Sash windows have influenced the architecture of buildings for more than two centuries. The whole design of buildings was constructed around the grace and dignity of the sash window. 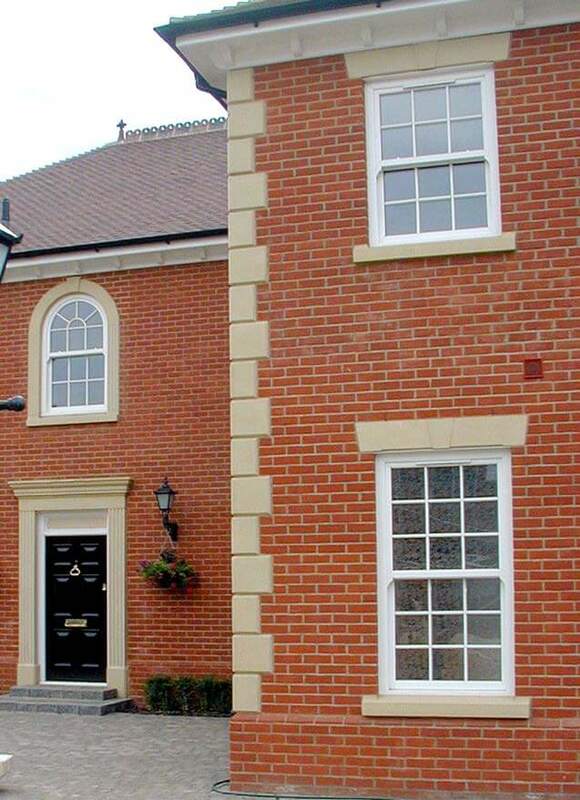 The traditional appearance and the operational effectiveness including some refinements have been incorporated into today’s modern PVC-U sash windows. but we do want you to be proud of your home and completely satisfied with the choices you make. These collections are absolutely breathtaking and you will not be disappointed, but it’s important you consider the choices you have when ordering your windows. It is common with standard window styles to have unevenly sized panes which destroy the traditional elegant sightlines of sash. Each window will be perfectly balanced to ensure that Georgian panes are equally sized, within it. Classic Collection: Has Ovolo detail sashes internally & externally, and Ovolo Georgian bars, to both sides of the sealed glass unit. Black external gasket, whilst encased, will not discolour, whilst the White internal gasket enhances the interior appearance. continuous, run through horns which are also available. Geo Bars – Unique, patented, interlocking bars and a metal Georgi-Clip® ensures plant on bars remain clamped to the surface of the glass, fitting the sash snugly and guaranteed by BBA testing, to remain adhered for the life of the sealed unit. The most significant difference between the modern PVC-U sash window and its traditional window equivalent is the tilt facility that enables safe cleaning from the inside. PVC-U should be cleaned at periodic intervals to maintain the original pristine appearance. The frequency depends on the geographical location and the local environment but as a general rule the frame should be cleaned whenever the glass is being done. NB: When cleaning a window it can be difficult to clean the external travel stops. Should you be tempted to remove for cleaning, do not slide the sash as the balances can be overstretched and thus permanently damaged. After closing the sash, give a slight pull towards you to ensure the sash has latched into the frame properly. 1 | Slide the bottom sash clear of the cill up-stand. This releases the interlocks that prevent drafts from between the top and bottom sash. 2 | Slide the tilt knobs towards the centre of the sash (tilt knobs are located on the top of the bottom sash at either side). 3 | Gently pull towards you until the tilt rest arms on the side of the sash engage and take the weight of the sash. The top sash can be operated in the same manner when the bottom sash has already been opened. 4 | Wipe over the plastic profiles with a damp cloth, working from the top of the top sash to the bottom of the bottom sash. 5 | Clean the glass using water based glass cleaner or soapy water. Wipe the white rubber seal on the bottom of the bottom sash to maintain a good white finish. Ensure the drainage holes located on the bottom of each sash are clear to allow for drainage. Clean the grey brush pile to ensure good seal against drafts. Use silicone spray or a beeswax polish to lubricate the sliding components. 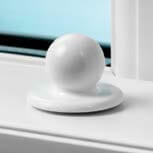 If the window starts to stick or squeak, NEVER use oil based products on your sash windows. Clean the outside pane of the top sash first. When complete, return the sash to a vertical position and then clean the inside pane. Apply the same procedure to the bottom sash. 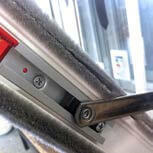 After cleaning it is absolutely essential to check all tilt latches have re-engaged. Do not forget to reset any Limit Stops after cleaning. What chemicals to use to clean the PVC-U? 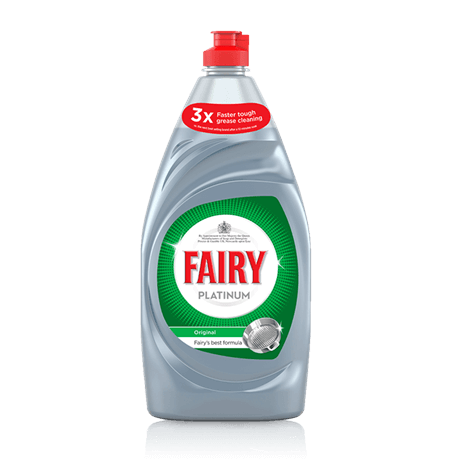 The best method of cleaning is to use a clean cloth and a solution detergent such as Flash or Fairy liquid diluted to the normal concentration for floor cleaning or washing up. If the surfaces are excessively dirty or unsightly and stains remain, then a mild nonscouring cream such as Cif can be applied. Most suitable window cleaning detergents are probably already in use in the majority of households. If you follow these instructions your windows will look good and operate as well as the day they were installed. NB: Avoid at all times solvent based cleaners and abrasive materials because of scratching and especially the use of steel wool pads as these may cause permanent scratches. 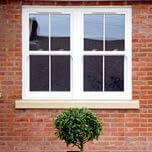 C&L Windows Request a call back Just say the time, we'll get back to you when it suits you best.